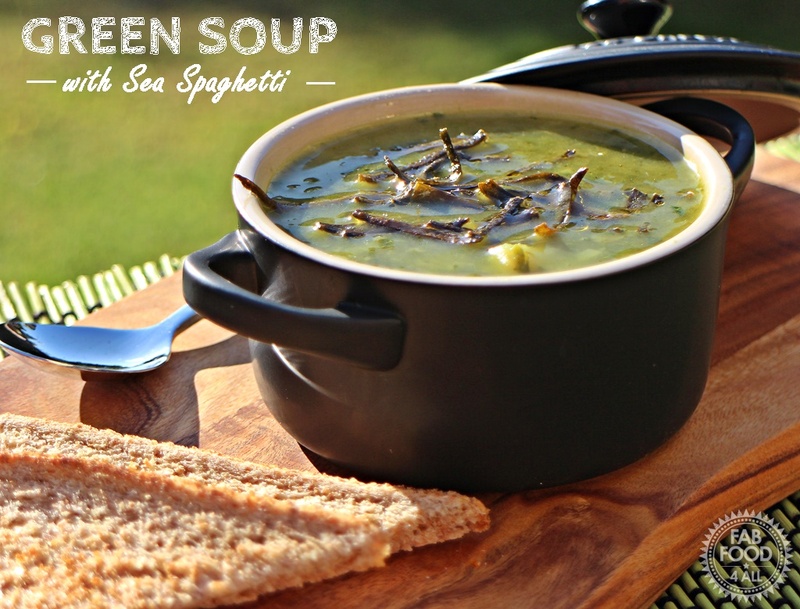 You are here: Home / Lunch / Green Soup with Sea Spaghetti & my 1p bargains! 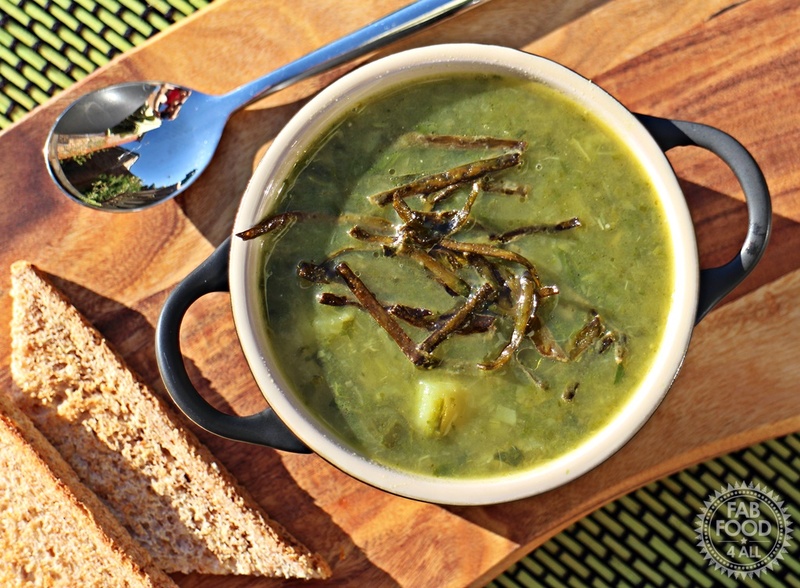 Green Soup with Sea Spaghetti & my 1p bargains! Last Sunday I popped out for some sugar to make some Gooseberry Jam as my dad, ever the fruit magnet, had been invited to pick gooseberries at a local allotment and kindly delivered a carrier bag full to me. I thought I’d time my visit to my local Tesco to be about an hour and a quarter before closing as my sister had been telling me all about her 1p bargains recently. 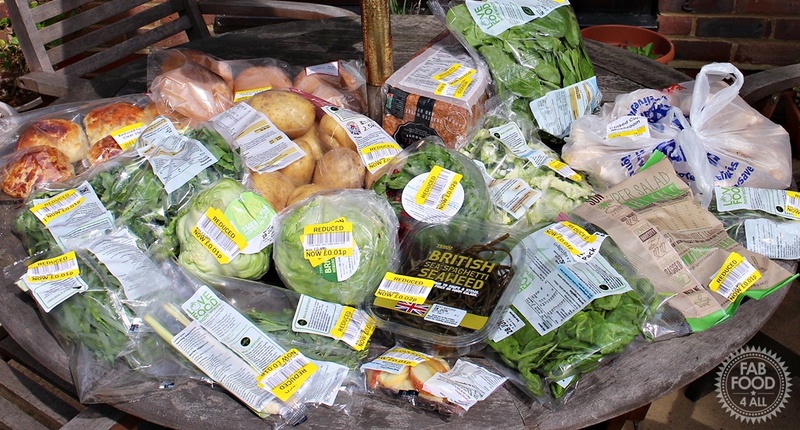 Well as soon as I got there I made a beeline for the produce department and saw a few people coming away from the reduced shelf but there was still plenty there. I was joined by one other shopper eventually so there was no stress picking out what I thought I could use. Even if something is only 1 or 2p nothing’s a bargain unless you use it! My booty consisted of mainly green vegetables and herbs and if I’d stuck around I discovered that I could have had some soft fruits but hey I was new to this so didn’t know the ropes, I’ll know better for next time! Rest assured none of this is going to or has gone to waste, like the packs say “Love Food Hate Waste”. With bargains like this to be had there really is no excuse not to eat healthily as this shop came to about the same price as a jam doughnut! I worked out the ingredients I bought for this soup came to just over 5 pence but would have cost over £5 at full price! The tarragon and some of the mushrooms went into a sauce with some pork (post to follow) that night which I served with the bag of greens and some mashed potato and the following day I made this Green Soup with Seaweed Spaghetti. I would never have bought Seaweed Spaghetti ordinarily but it worked really well as a garnish for this soup. My hubby said it tasted like fish, I just thought it tasted like the sea! I read somewhere that you shouldn’t eat too much of it as it’s high in iodine but I’m sure what we had as a garnish was fine! So what was the soup like? Well hubby and I loved it, keeping the chunky texture by not blitzing it too much with a blender is key and far more satisfying than a blended soup. We had this as part of a main meal along with some crusty rolls and cheese, just right for a summer evening. My son enjoyed his but my 11 yr old daughter turned her nose up at it! I seem to remember at her age hating things like spinach in a cream sauce so I think it’s an age thing! A hearty, healthy and delicious soup packed full of almost every green vegetable that exists. Heat 2tbsp oil in a very large pan and add all the vegetables except the baby spinach and kale. Give the vegetables a good stir and sweat under a lid for about 15 minutes, stirring occasionally. Next add the stock and pepper, bring to the boil and then simmer for 15 minutes or until the potatoes are tender. Towards the end of cooking prepare the sea spaghetti by chopping into roughly 3 - 4cm strips. Heat 2 tbsp oil in a wok on a highish heat and fry for 6 – 8 minutes, stirring regularly. Add the baby spinach and kale to the soup and bring back to a simmer for a further 3 minutes. Use a stick blender to partially blend the soup (you want lots of chunky bits). Serve in bowls garnished with the sea spaghetti if using and some warm crusty bread. To make the soup suitable for vegans just replace the butter with more oil or a dairy free spread. 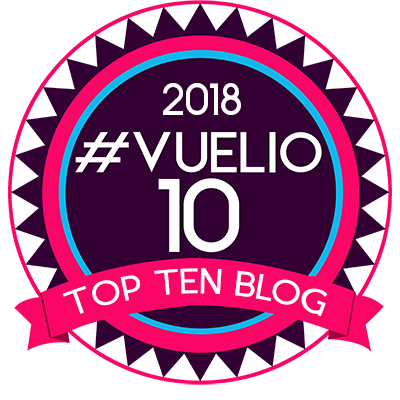 I think everyone must love a bargain as I’d never had some many comments or views (over 3,000) of a post over on my Facebook! 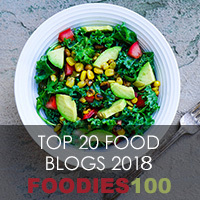 If you fancy a bargain seaweed recipe you might like to check out this one for Seaweed Crisps which uses freshly foraged seaweed! As this soup was so frugal I’m entering it into Credit Crunch Munch which I run with Fuss Free Flavours . I’m also entering Meat Free Mondays run by Tinned Tomatoes as we actually did have this on Monday and it was meat free! 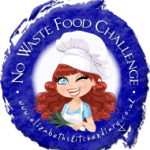 I’m entering No Waste Food Challenge which is run by Elizabeth’s Kitchen Diary! Then finally I’m entering Extra Veg which is run by Utterly Scrummy (who is hosting) and also Fuss Free Flavours. Very unusual. A lot of greens. Love your bargains buy. I’d never heard of seaweed spaghetti before but it’s a good idea. My hubby loves a jar of seaweed seasoning we got from somewhere or other so I bet he’d love this. Ooh sea spaghetti, never heard of it before. 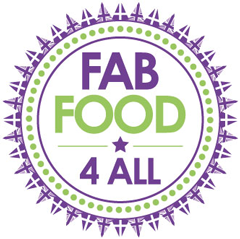 Fab recipe! Pea soup is lovely. Must try and get some sea spaghetti. Just goes to show you can make something healthy without breaking the bank. I think it looks good & healthy but would definitely have to blitz it for the children or they would turn their noses up at it. My son insists on having his soup with chunks in but my daughter mostly turns her nose up at anything green blitzed or not! Yes Ursula, I’ve got a back log of recipes to blog now as so much foodie inspiration!